Small - $2.99 Medium - $4.99 Only 3 left! You’re a totally normal tennage gal. It’s just that your best pals are ninja turtles who live deep down in the sewers and your father figure is a giant rat. No biggie! We don’t think you’re weird. 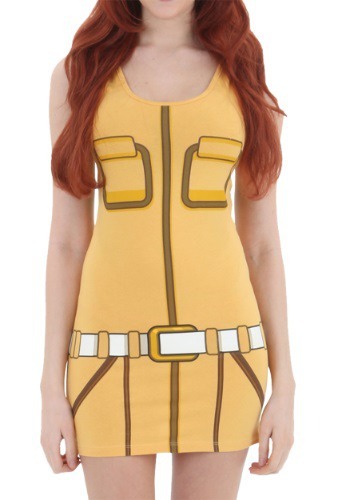 We think you’re April O’Neil! And we’re kinda psychic about these things. 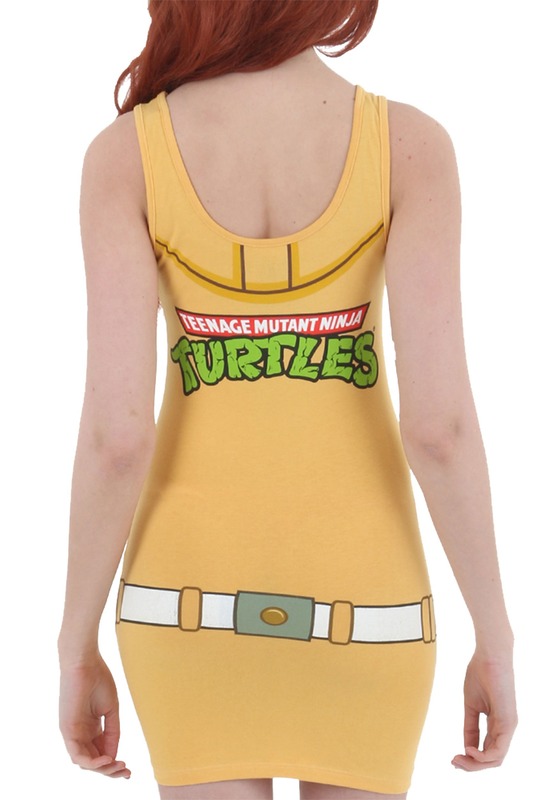 So before you plan on reporting the news on your favorite friends, you need to slip into this TMNT I Am April O' Neil Juniors Tunic Tank. It's a cute and quick way to look like the quirky Teenage Mutant Ninja Turtles deuteragonist,and it is also the best way to make sure Leonardo, Raphael, Michelangelo, and (especially) Donatello recognize you when you come to the scene of their latest heroics--as if they could forget! We know you’ve been training with Splinter, so don’t worry, this officially licensed tunic is totally simple; it only looks like a complicated yellow jumpsuit. You can slip it on in a moment’s notice, so the second that you sense danger you can get right into character.